In contrast to the beginning of this month with it’s long list of social media updates, this week’s update is a short one. 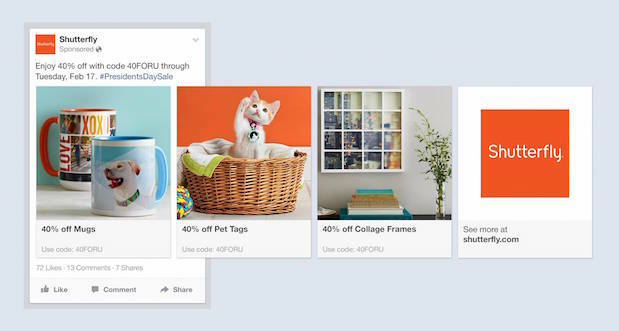 Facebook Launches New Product Ads: Facebook has launched product ads, a new way to promote multiple products. Product ads showcase a company’s catalog across devices. The ads can be customized to highlight certain offerings and/or to reach people based on factors like location or interest.